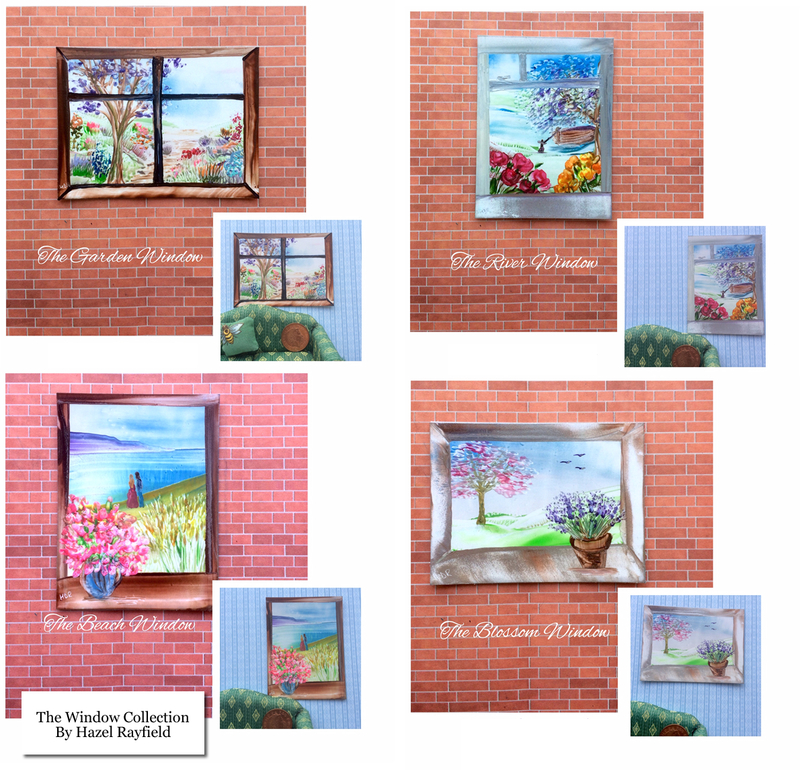 A new collection of miniature art, these four new paintings painted this month March 2019, each have a view from a window. They are miniature paintings, each just 4 x 3 inches in size. My miniature paintings, both my tiny "Dolls House Art" and ACEO Art Card Collectibles are very popular and I am proud to say that in the past few years several hundred of my paintings are now in new homes across the world. All my art is original, I don't do prints or reproductions. These paintings are for sale, they are painted on specialist Encaustic Gloss card and backed with a white card, they are signed on the back.